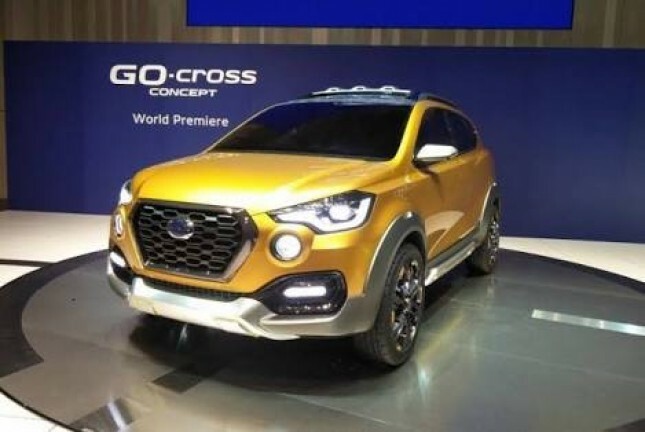 Datsun Cross Officially Sales in Indonesia. INDUSTRY.co.id - Makassar - PT Nissan Motor Indonesia launched one of its newest product named Datsun Cross to enliven the market in Makassar with various advantages and technological sophistication. Head of Marketing Datsun Indonesia Christian Gandawinata explained Datsun Cross is powered by a lightweight 1.2-liter gasoline engine with 68/78 HP power, and 104 Nm of torque, thus achieving a perfect balance between power-efficient performance and fuel economy. "This is what makes us confident because we have its own segment, by also offering a dynamic design and a line of advanced technology that makes it different," said Christian in Makassar, Thursday (22/3/2018). In addition to equipped with a variant of manual transmission, this product also offers X-Tronic CVT (continuously variable transmission). "This is the first introduction of the brand product," he said. He explained that Datsun Cross has also been created specifically to overcome various road conditions in Indonesia, namely 'body cladding', a sturdy body undercarriage made of high quality metal can serve to protect from damage caused by mud or rock fragments. The product also features ground clearance as high as 200 millimeters and 15-inch large tire wheels made of special rubber material to support the grip but still economist. According to him, this product is also the only vehicle in its class which is equipped with Vehicle Dynamic Control (VDC) technology as standard in all variants. This vehicle uses the latest computer-controlled software and sensors, a feature of VDC that includes anti-lock brakes (ABS), traction control, and brake-limited slip differential. Datsun also has other safety devices, including dual airbags, safety belt warning lights and automatic headlight lamps. "This car has a large space for five adults and a large trunk. There is also a children's passenger space in the third row that can be used when traveling a short distance, so if there is a child friend we want to ride, there is no problem because the capacity is still enough broad, "he said.